Mecca really is so much more than bingo. There’s loads of fun to have, whether you’re playing slot machines , Cashline, Mecca Max, Amusements or sampling our freshly prepared food & drink. All this and at great value too! Join Mecca today and you can really start to enjoy Mecca and of course start winning fantastic prizes. Did you know? You can now join your local bingo club from the comfort of your own home, online . Mecca Bingo! Stockton Chandlers Wharf. 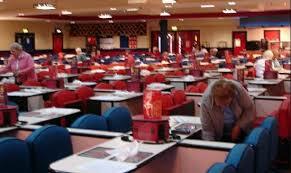 Mecca Bingo is part of the Rank Group. 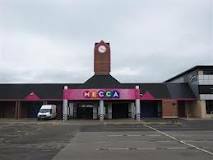 MECCA and the MECCA logos are registered trade marks of Rank Leisure Holdings Ltd.
Stockton-On-Tees Mecca Bingo offers bingo players the opportunity to play bingo everyday, afternoon and evening, and it regularly runs promotions to give you better value for your money. There's seating for 1600, and 150 EBingo terminals. There are two bars, and a cafe, and 200+ car parking spaces. For disabled patrons there are 20 disabled seats, 4 disabled toilets, and disabled access.